66" x 42" x 30"
Shown in solid ash with a hickory stain. 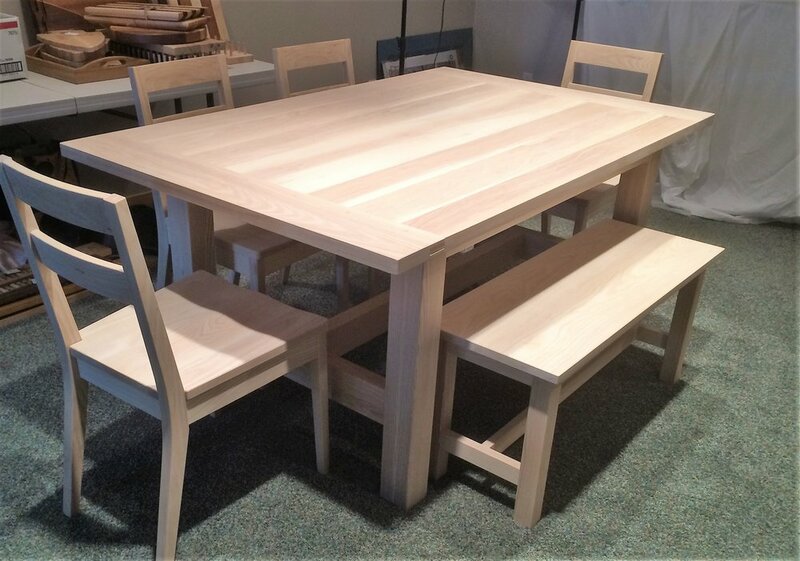 This dining set is big and beefy - and built to withstand all a family of boys can throw at it. Mortise and tenon joinery throughout - with drawbore pins for added strength to keep everything tight assures this set will be around for generations.